The new edition of “In Between Passionate Minnuendos” in celebration of 10 years of Brazilian band De Profvndis Clamati! Format: Digi CDR-pro, contains 8-pages booklet. We are proud to announce a special edition of debute De Profvndis Clamati album “In Between Passionate Minnuendos” containing best Brazilian symphonic funeral-doom metal! This CD contains two exclusive never officially released songs as a bonus tracks. Basically the album sounds in vein of slow and mournful funeral/death doom metal with elements of symphonic and neo-classical music. 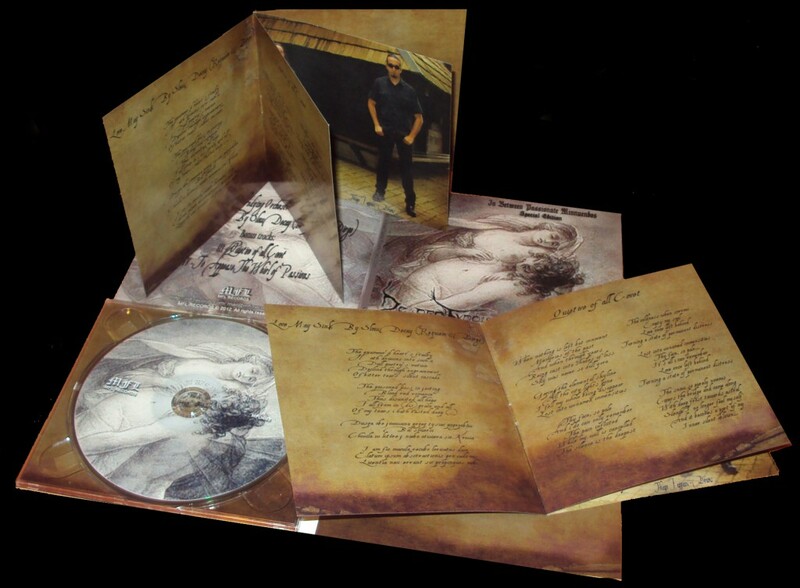 The album comes as a limited edition digipack with 8-pages booklet.